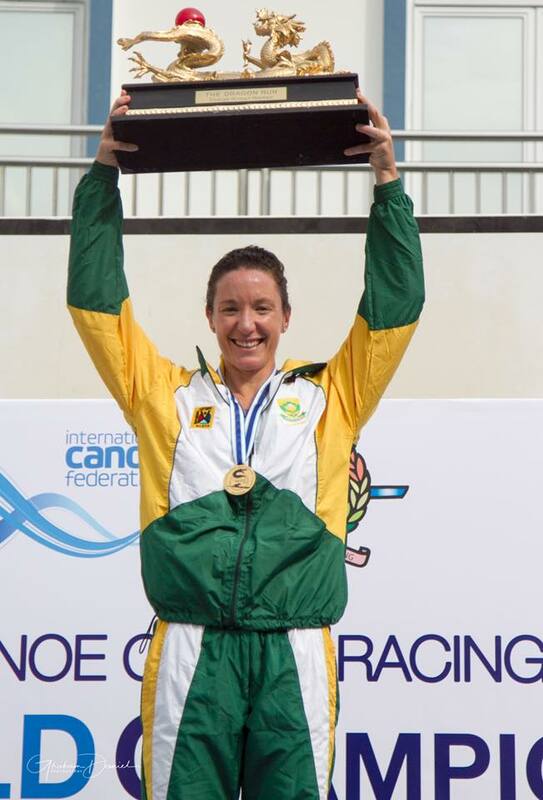 Hong Kong – Hayley Nixon became South Africa’s newest world champion when she conquered tough conditions and a very strong field to win the ICF Ocean Racing World Championships on a day that saw Team SA scoop five medals. Nixon (Euro Steel/Carbonology Sport) led home a team charge that yielded four in the top six senior women, a silver in the Under 23 women and two junior medals, with Sabina Lawrie becoming the new junior world champion. Nixon, who came to canoeing and surfski racing from a rowing background, finally realised a lifelong dream of becoming a world champion, after having won the Surfski World Series title. Nixon said that the tough flat and windless conditions combined with the very humid weather had made the race particularly taxing, which played into her hands. Amanzimtoti downwind star Michele Burn claimed the silver medal for South Africa, with London Olympics bronze medallist Bridget Hartley fourth and Nikki Russell taking sixth place. In the junior race Sabina Lawrie was all smiles as she climbed to the top step of the podium after winning the U18 Girls title, ahead of Australian schoolgirl Georgia Sinclair, with fellow South African Zara Wood claiming the bronze medal. “The race was very hectic. There was absolutely no wind so it was a solid grind from start to finish,” said Lawrie. “It was stressful being behind the first girl until the last two kays, but I am very stoked to win,” she added. Team SA scooped a fifth medal when Durbanite Kyeta Purchase finished second in the Under 23 race won by Swede Linnea Stensils.